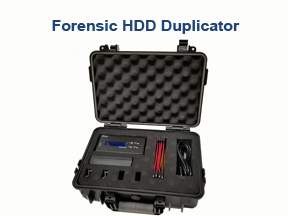 ILY Enterprise, Inc. introduces Forensic HDD Duplicator at Police Security Expo 2018. 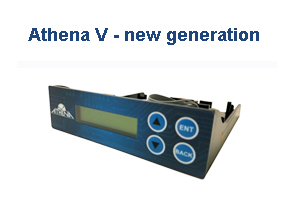 ILY Enterprise, Inc. introduces Athena V Duplicator Controller with enhanced features at Computex 2017. ILY Enterprise, Inc. introduces the new iOpen Pro SATA2 Hard Disk Drive (HDD) Duplicator Series featuring open platform design with super high copy speed of 300 MB/S or 18 GB/Min. This is the fastest HDD duplicator available on the market now. ILY Enterprise, Inc. introduces the new Mobile Pro SD to HDD Backup Station, which can be powered by power bank or car charger for the mobility. It is compatible with GoPro and other professional sports and action cameras. ILY Enterprise, Inc. introduces the new Flex Pro SD/Micro SD Duplicator, featuring compact and lightweight design with only 1/10 of a regular duplicator’s size. 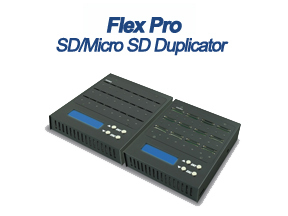 Up to ten Flex Pro units can be daisy chained together to provide 239 ports for duplication. ILY Enterprise, Inc. introduces the new iOpen Hard Disk Drive (HDD) Duplicator Series featuring open platform design with high copy speed of 150 MB/s. 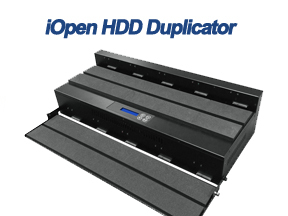 Comparing to tower HDD duplicator, iOpen Series is ideal for duplication of various format of HDD and SSD. With a SSD converter, exchanging and duplicating SSD is much easier for iOpen Series. 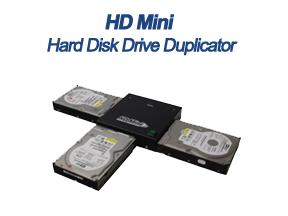 ILY Enterprise, Inc. introduces the new HD Mini HDD Duplicator. 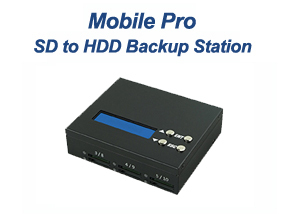 HD Mini is a slim and ultimate lightweight HDD duplicator for mobile usage. No matter indoors, outdoors, or travelling, you can duplicator hard disk drive anywhere anytime without interruption. 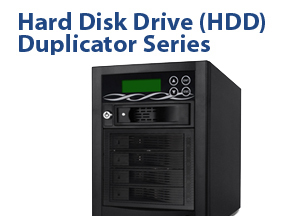 ILY Enterprise, Inc. introduces the new HD MAX Hard Disk Drive (HDD) Duplicator. 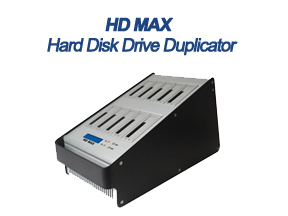 HD MAX is an industry grade, high speed, stand alone hard drive duplicator which quickly copies SATA 2.5" or 3.5" HDD/SSD at speeds up to 150MB per second. This is the best HDD duplicator for any business or organization that needs to quickly duplicate multiple hard drives with multiple formats and interfaces. ILY Enterprise, Inc. introduces the new SD/Micro SD Combo Duplicator Series which easily and reliably creates multiple copies of SD and or Micro SD cards without a computer or software. No more adapter needed in order to switch the copy between SD and Micro SD cards, one unit does all. ILY Enterprise, Inc. introduces the new DUO Plus Duplicator Series featuring Disc to Disc duplication, USB to Disc duplication and USB to USB duplication. Comparing to the DUO Series, the new DUO Plus Series is equipped with additional features. 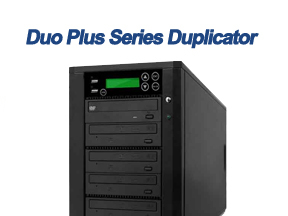 DUO Plus Series gives you the convenience of two duplicators in one helping you to get more done in less time! 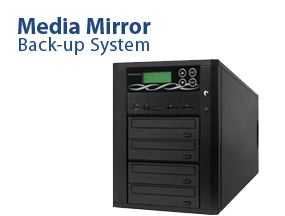 ILY Enterprise, Inc. introduces the new Media Mirror Plus Series Duplicator, which is upgraded from Media Mirror series. It keeps all the features of Media Mirror series, plus more features such as duplication USB/flash memory cards to USB/flash memory cards and backup CD/DVD to USB/flash memory cards. 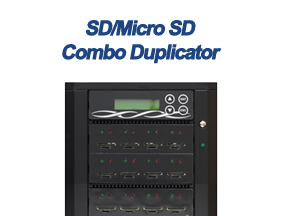 ILY Enterprise, Inc. introduces the latest upgraded flash media duplicator - FlashMAX USB, CF and SD duplicator series. 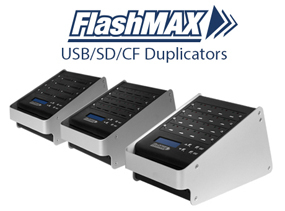 FlashMAX USB duplicator was first available in October of 2009 and introduced at 2010 CES show in Las Vegas. After years of successful sales of FlashMAX USB duplicator, ILY came out FlashMAX SD and CF duplicators in the beginning of 2013. With technology improvement and continuing effort, now ILY presents the latest version of FlashMAX series duplicator. 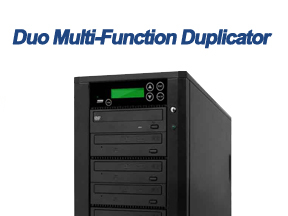 ILY Enterprise, Inc. introduces the new DUO Multi-Function Duplicator Series featuring Disc to Disc duplication and USB to Disc duplication. ILY Enterprise, Inc., introduces the new Media Mirror Back-up System Series. 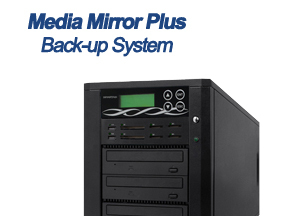 The new Media Mirror Series is a standalone system that backs up not only Blu-ray/DVD/CD discs but virtually any type of flash memory card and USB device. 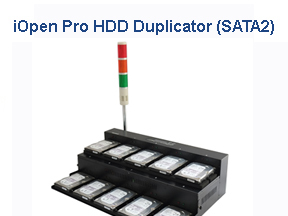 The new Spartan Multi-Target Hard Disk Drive (HDD) Duplicators are high speed, stand alone hard drive duplicators that quickly copy SATA 3.5" HDD and SSD* at speeds up to 150MB/per sec. 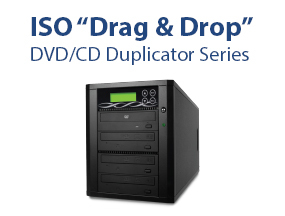 ILY Enterprise, Inc., introduces a new "Drag & Drop" function for the Spartan ISO Duplicator Series. This "Drag & Drop" function will directly load ISO image files from a PC onto the duplicator's hard drive (HDD) without using any special software. ILY Enterprise, Inc. announces it is now carrying EZ Dupe brand products based on a mutual long term relationship and providing customers with a 3 year warranty on EZ Dupe products.